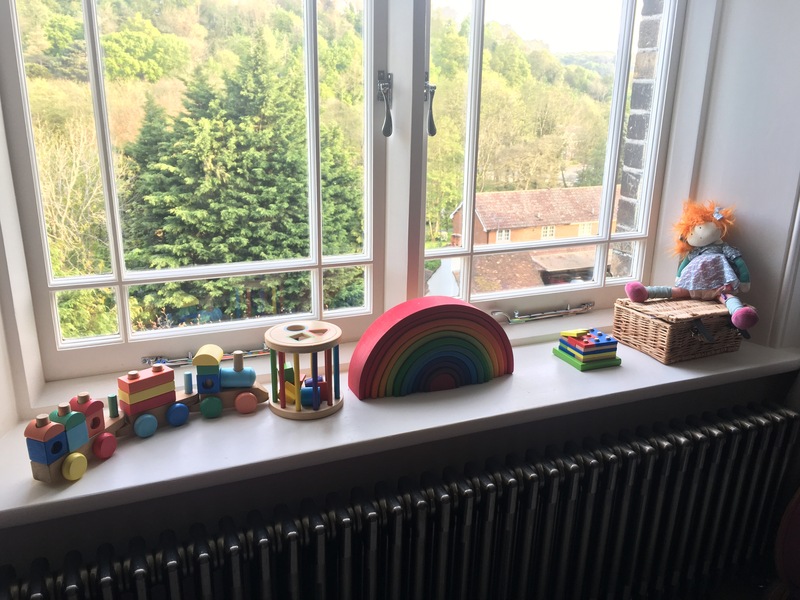 This week Ariella’s focus has been her soft toys, she has so many (they have their own little crate her in her room) but she has particular fondness for certain ones and more so one or two than others. One or perhaps more often two of these often follow her around at all times, it’s lovely to watch. Presently her favourite couple are Monkey (a firm favourite which I don’t see changing any time soon) and Zula from Bing. Zula was a present for her second birthday and she quickly learned her name, she’s been carrying and requesting her ever since. 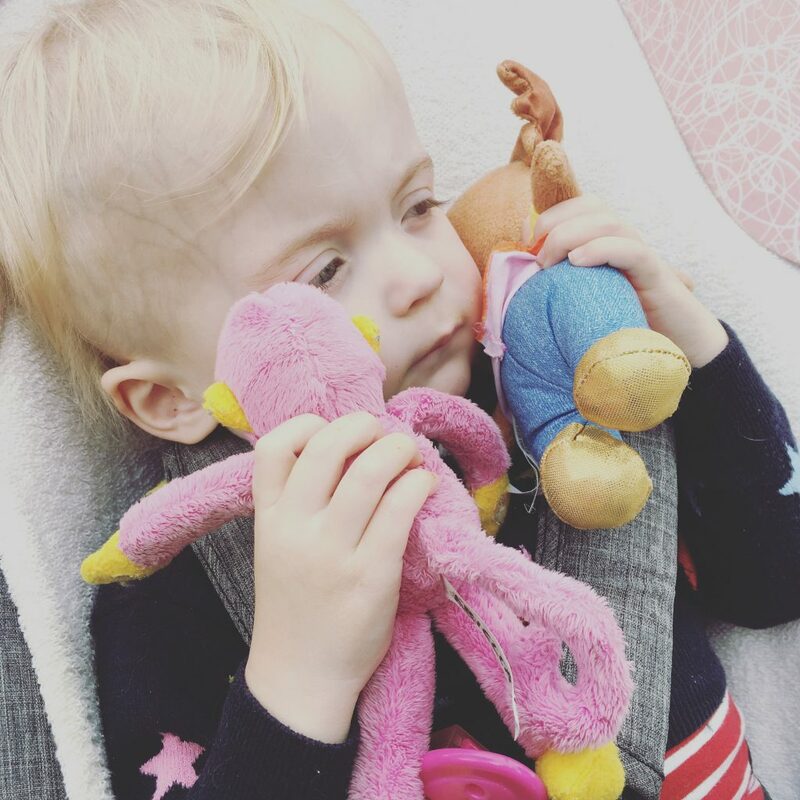 It’s now crucial that I remember to take at least two of her soft toy buddies in my change bag wherever we go, to avoid a tantrum melt down or being asked for them constantly. Lucky I have a bigger bag now! 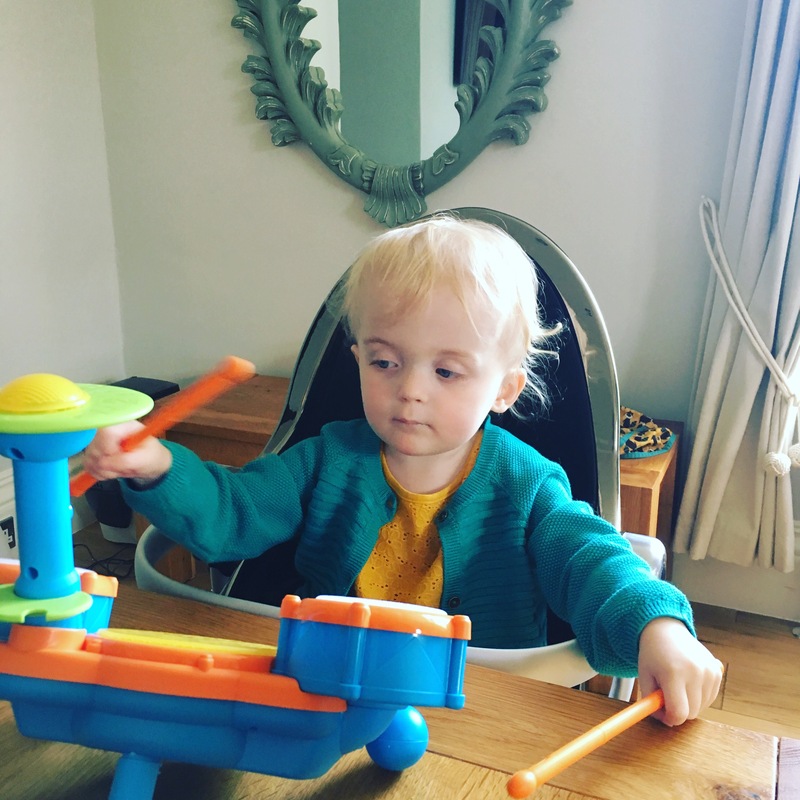 This new found love for soft toys has followed through into other imaginative play, her kitchen particularly is being used much more often and her pram now hosts a little baby for her to mother. 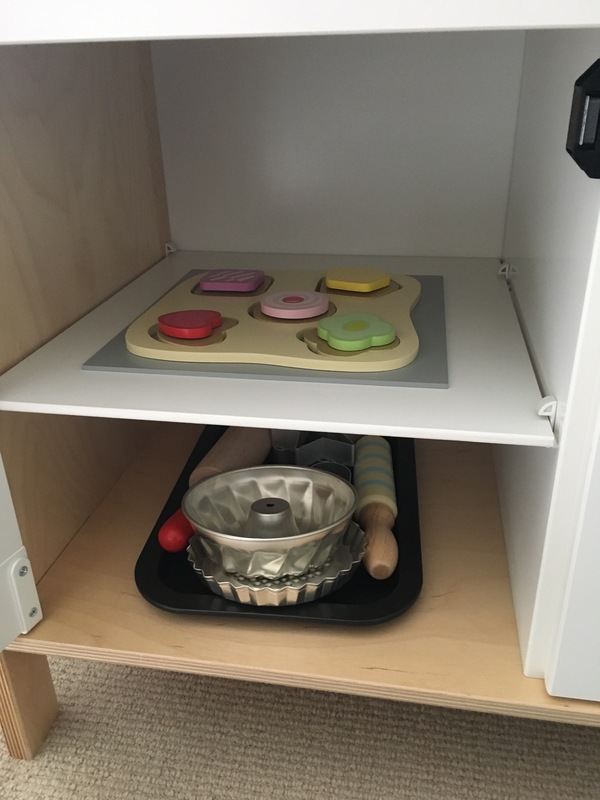 I try to alternate her toys so she doesn’t get too used to them, the kitchen tends to stay as is but everything else gets rotated. This helps keep her toys fresh and means we don’t have loads of things out on display at one time. I keep two shelving areas for Ariella on rotation in the main living area, this is what we currently have out. 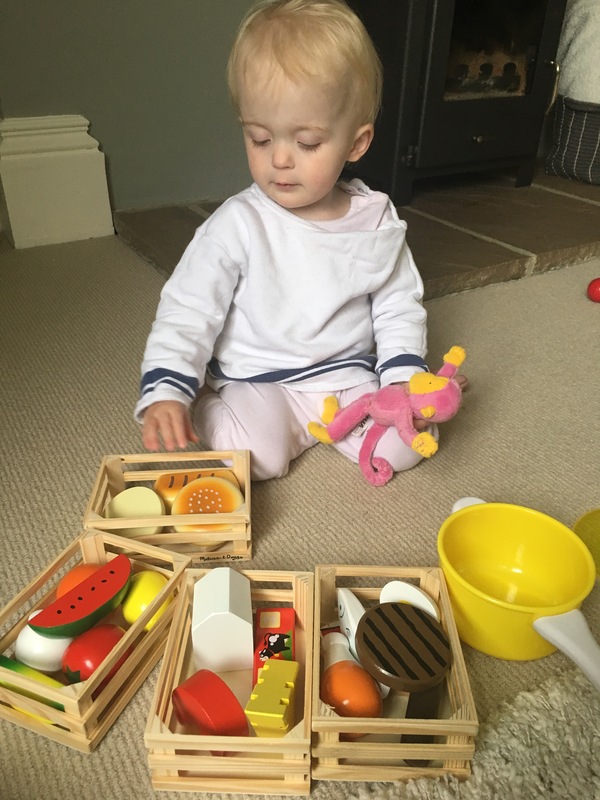 Lots of open ended toys to try and encourage more fine motor as this is still a challenge at the moment and a focus of portage sessions – shape sorting, the wooden tray, she has puzzles in the basket, a little wooden puzzle she received for her birthday. 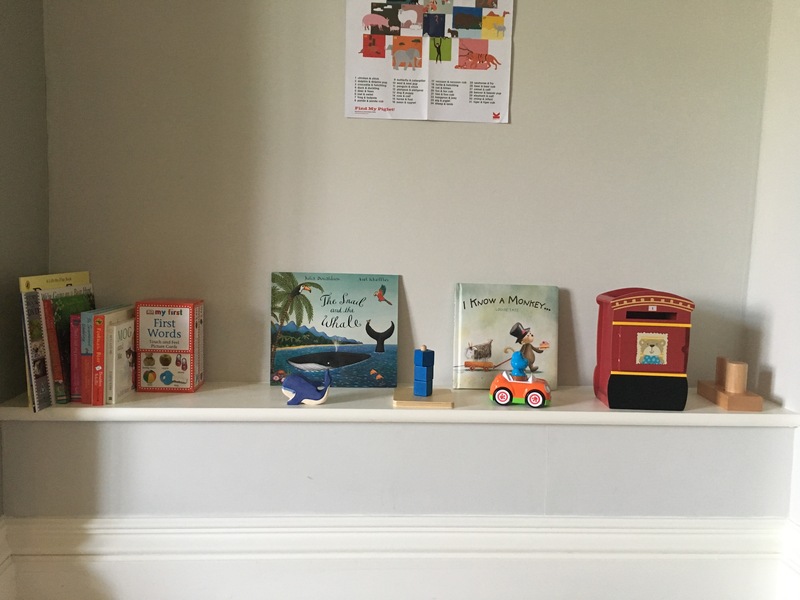 This shelf is more rotated than the other, the books are changed frequently with ones on her bookshelf, Ariella loves to read. More fine motor toys with a stacking cube, letter box to encourage squatting – I hold the box up high and she has to pickup the letters off the floor and post them and then the two little round pegs for fine motor again. 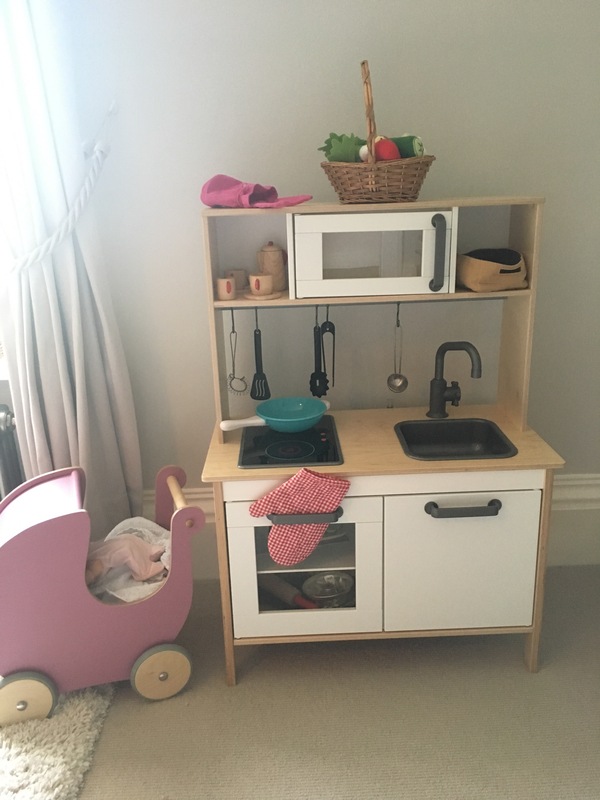 I’m really pleased with how well her kitchen is coming along, we’ve repurposed the basket which we used for her birthday celebrations as a shopping basket. 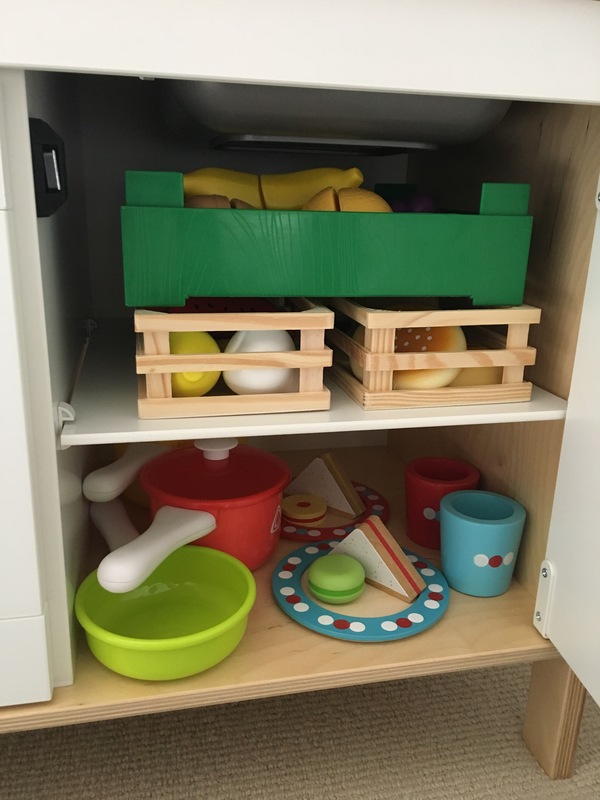 She now has a lot more inside the cupboards due to lots of kind gifts for her birthday. We have branched out from just making soup which is great for her and for us! I would like to add a few more things but I’m still contemplating what would work best for Ariella. 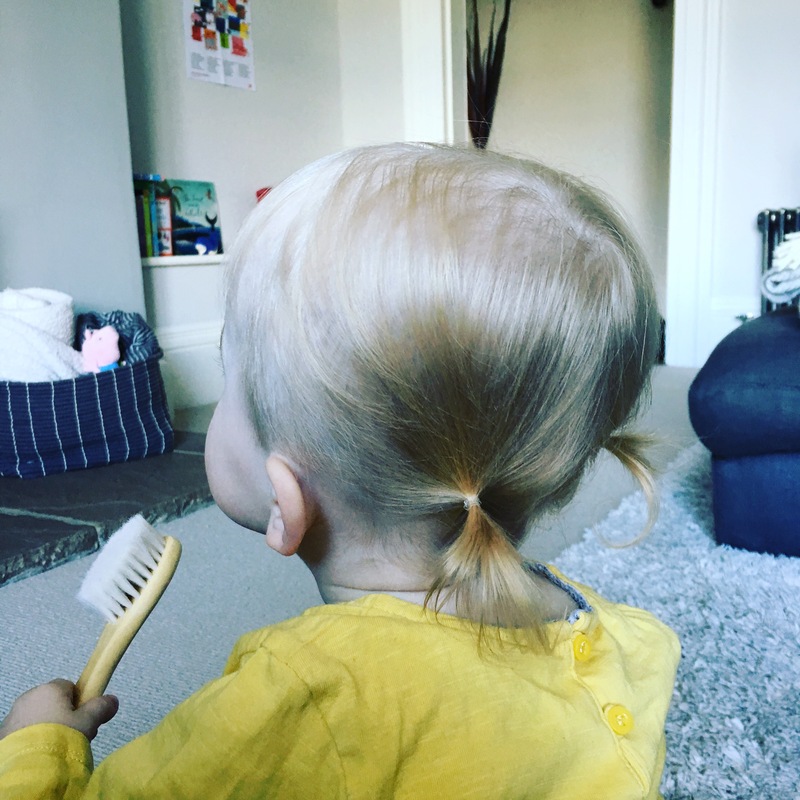 A new hairstyle this week, bunches! Ariella received some new drums this week. 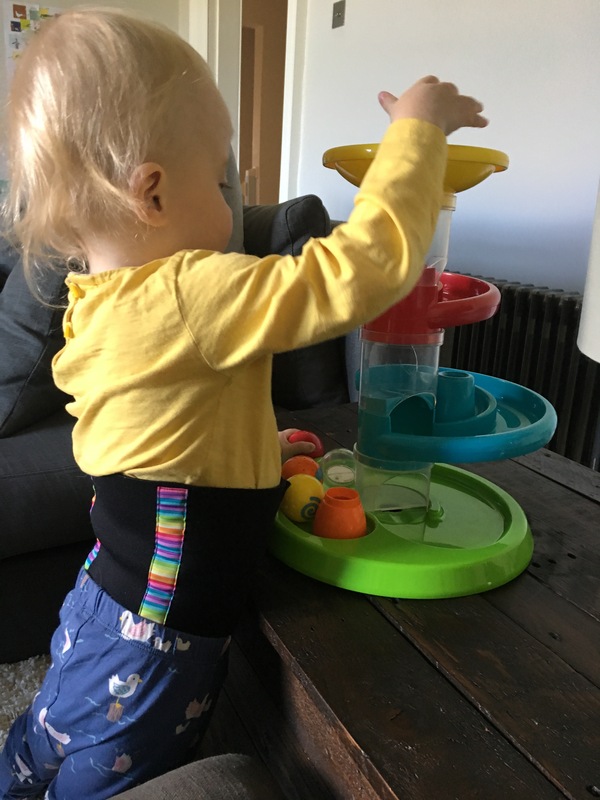 In physiotherapy our focus now that Ariella is walking one handed is to squat down, to achieve this we are encouraging play which requires her to bend down or squat to reach an item and put it into something up high. Portage are onboard as well and luckily lent us this toy to use but we also have been making use of the wooden post box we have for this task too. 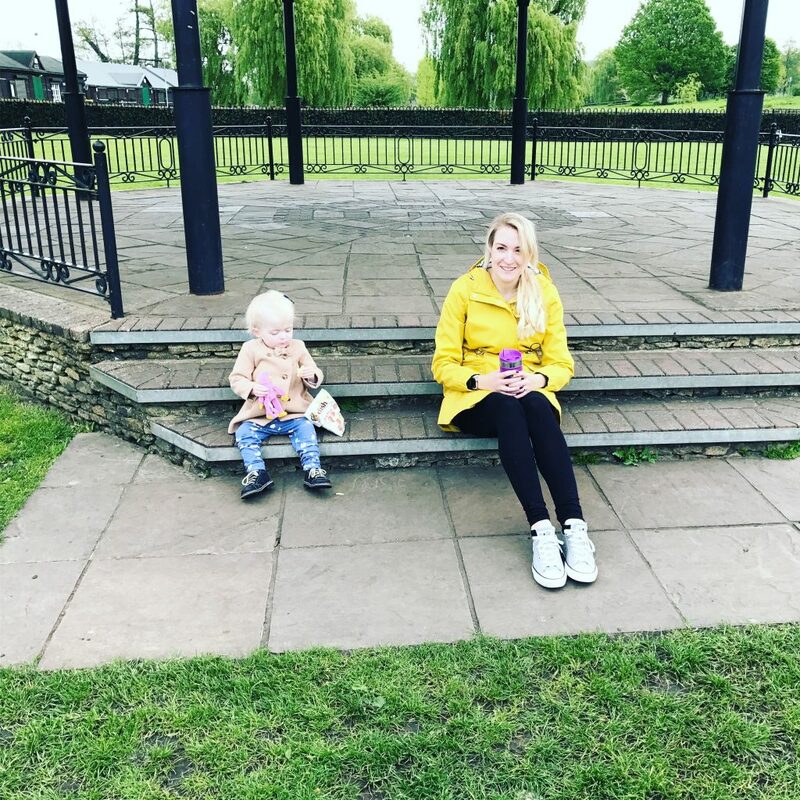 I wanted to share a few things we’ve been up to there is of course portage, physiotherapy but also we’ve had fun on play dates and lots of Spring house work! I’ve finally washed our sofa for one, which I’ve been putting off for ages. 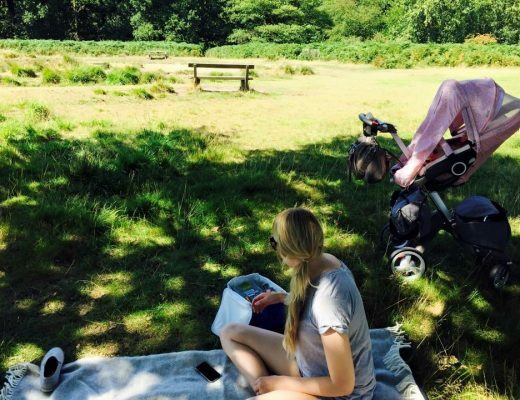 When Ariella was a baby she had reflux and our sofa took a serious hit – given the lack of time I had really been quite indecisive about arranging a company to come clean it or doing it myself and I went for the latter. Pleased it didn’t shrink! It looks much better now thankfully. Sometimes life is just full of these little “chores” and this week Ariella has had a cold (and was sick in her bed) so it seemed like the right time to cover lots of household things while we were mostly indoors anyway. Our coffee machine gave up the old fight too, what a drag! Luckily it was still under warranty and was replaced immediately but I had to suffer down some instant one morning and that was a long day. I’m now officially a double shot or nothing lady. This did mean I had to find a seriously big box and packing materials for it with just 12 hours notice. 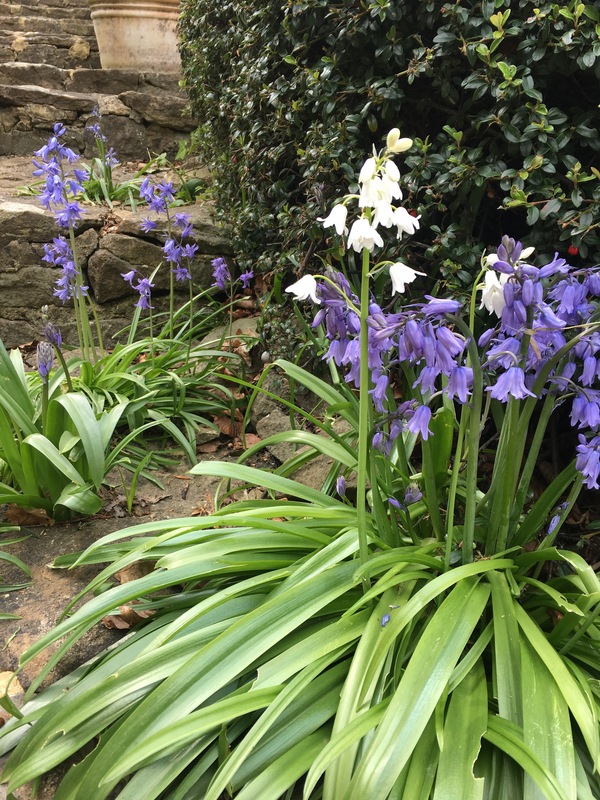 I was glad that we had moved so often the last few years and accumulated a few boxes in our storage, do make sure you have packed everything before taping up a box though – you definitely don’t want to have just finished and turn around to find you’ve forgot to add the most important part. Ariella practising some physiotherapy exercises. We are currently working on squatting down for a ball and putting it into this toy. 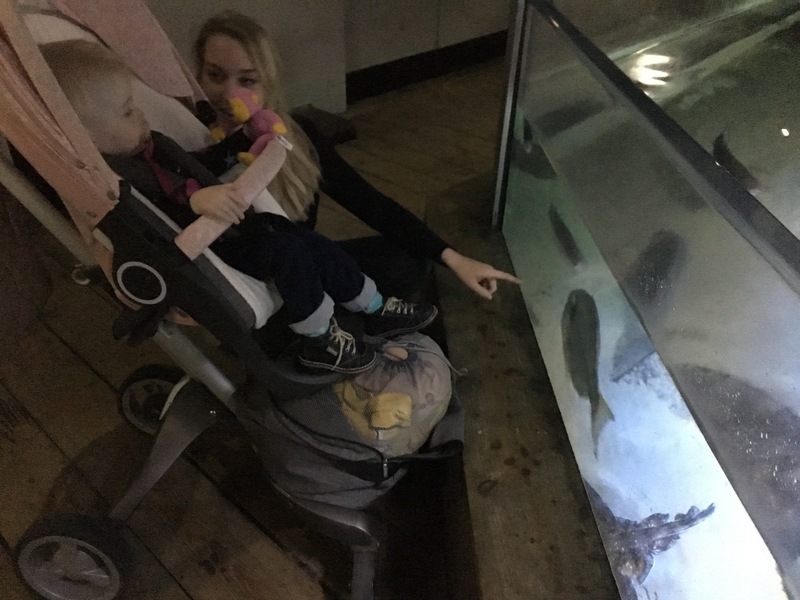 It’s a long bank holiday weekend so thought it would be awesome to take Ariella into London for the morning, we’ve never shown her the aquarium but felt she was old enough now to appreciate it more. The train into London was as ever easy and we hit Waterloo before we knew it. 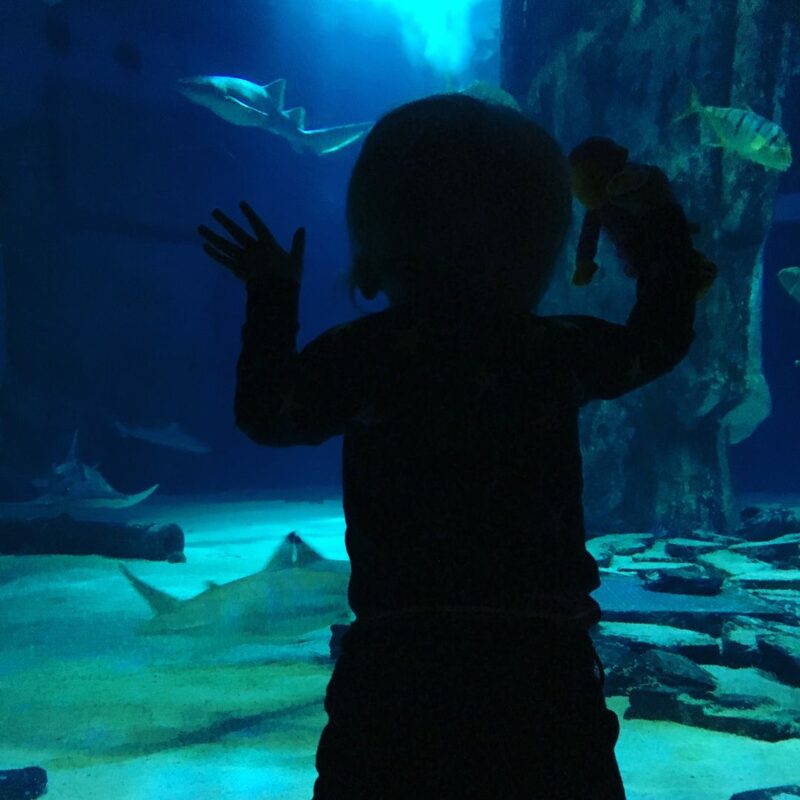 The Sealife Aquarium is a short walk away, I couldn’t resist taking this picture it’s definitely one for the memory album. On our way to the Aquarium, couldn’t resist snapping this one! 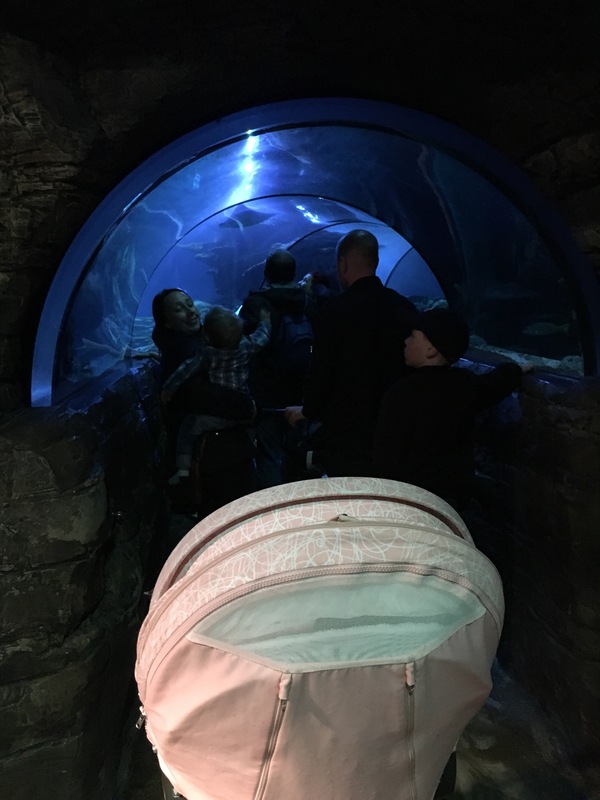 At first Ariella didn’t want to step out of her stroller but a little coaxing and she picked up the confidence, the pictures are a little blurry at points and dark but there isn’t much light in the aquarium. Even though she didn’t want to get down during the first couple of sections I tried my best to include her. 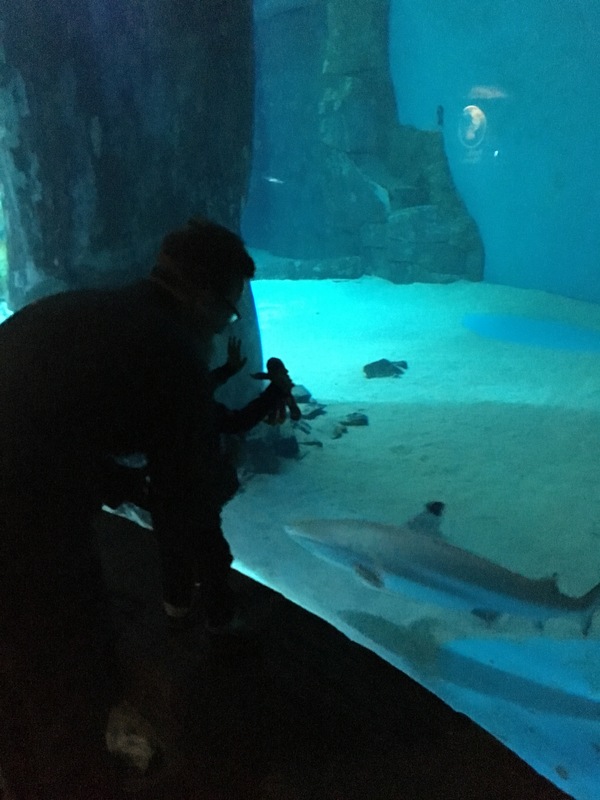 Ariella was quite scared of the tunnel so we didn’t hang around too long inside it, the entire aquarium wraps around a big shark tank starting on the lower levels you slowly work your way upwards. 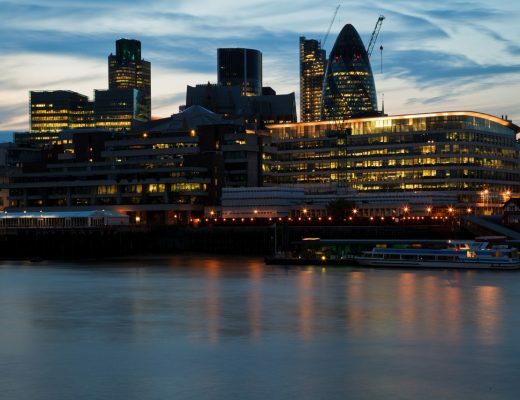 It’s sectioned into various areas of the world (Pacific, tropical, shark reef, penguins and the thames) and the fish that occupy it. 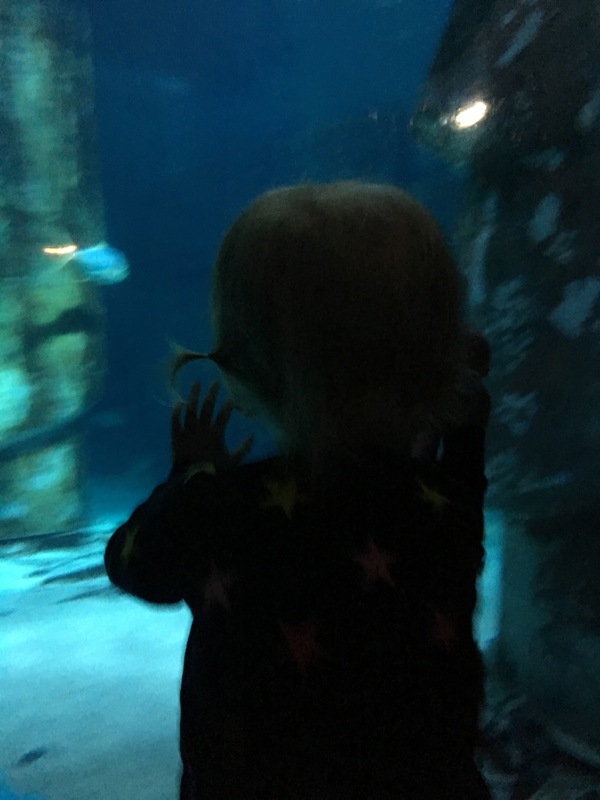 It seems we picked the very best age for the visit as Ariella enjoyed getting up close to all the water tanks and she watched as a shark swam past her, recoiling a little. 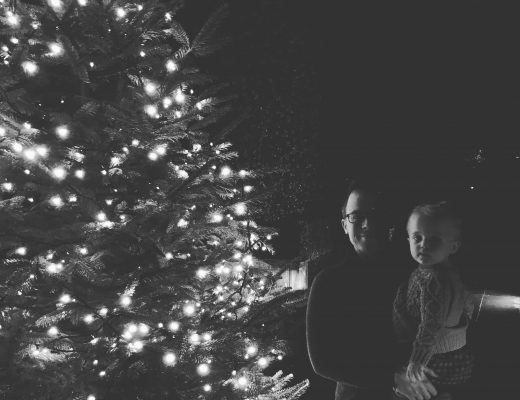 Lucky daddy wasn’t far away! 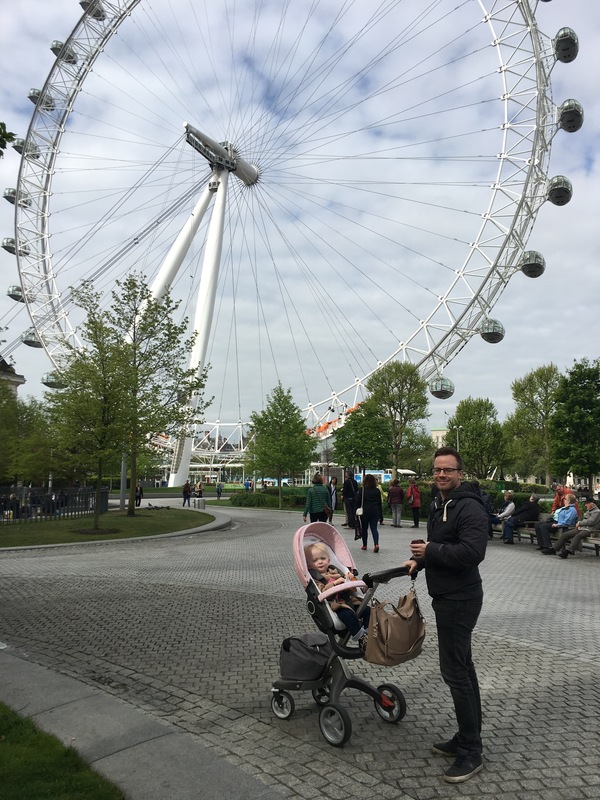 I was really pleased that Ariella wanted to walk a few sections holding on to our hands, we did some one handed walking and she was very confident. It was lovely to free up our hands a little and also a lot easier to walk when you aren’t having to bend over all the time. 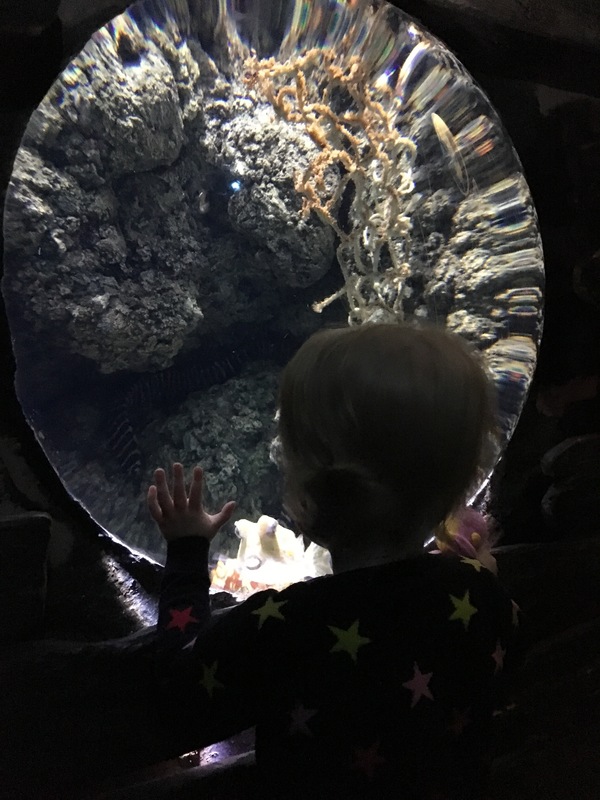 The tanks have plenty of cruising edges so she could go from one to the next with a little help from us. 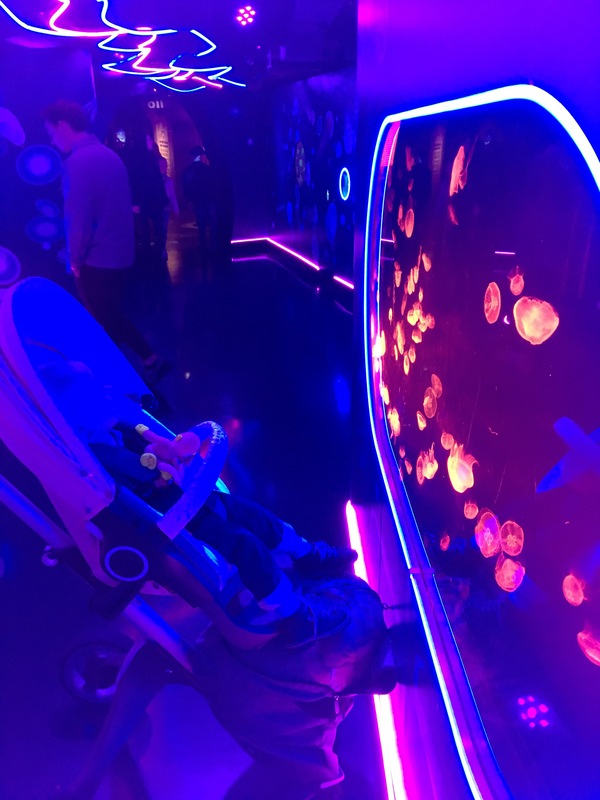 One of the other sections was jellyfish and although I couldn’t get a good picture it was very sensory and beautiful to see them swimming around, Ariella was mesmerised. 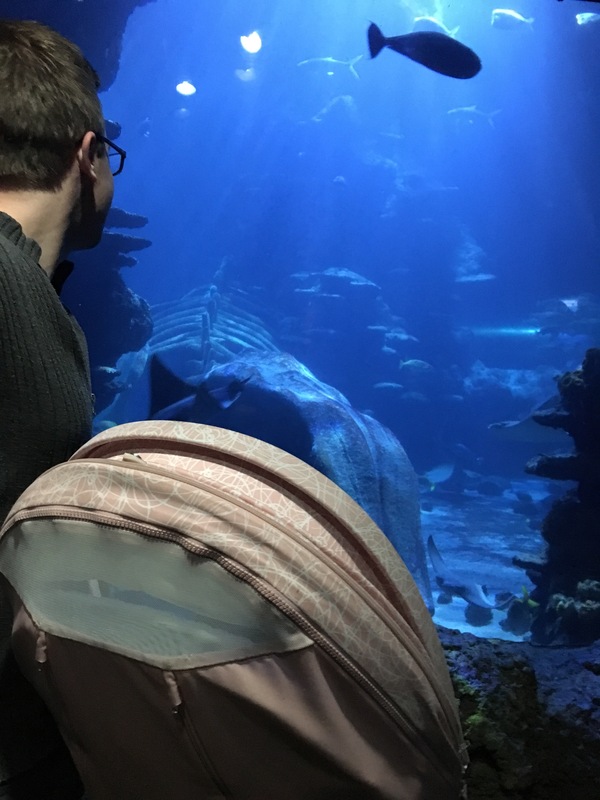 She loved the changing colours in the tank too and was confused when we tried to explain that we didn’t control the lights (unlike the ones at home Philips Hue). As we were exiting the crowds had picked up and it was all rather squishy, at some point Ariella dropped her monkey. We are usually very aware of monkey but alas not this time, after a quick look with no success we made our way to Wagamamas for lunch in the knowledge that we had a little ticking time bomb on our hands. Walking into Waga’s I was already on the website that sold the monkey’s with one in my basket, sat down at the table and the order was through. But we had several days to get through before we could rectify the situation, we ate and once Ariella had demolished her lunch she looked up and said “Key? Redkey?”. We knew what she meant Monkey. I had quite a few alternatives with me so offered up Sula, Elle but no she looked at me at said “Redkey”. We were going to have a long, long weekend even after trying to explain that she had dropped Monkey and lost Monkey, well she wasn’t having it. Then my phone rang, I had lost all hope that anyone would actually call the phone number I had left on the label in a black sharpie. It was London after all and a tourist area, what were the chances that someone would pick him up and check? Well they did, either the staff member or someone gave it to them but someone from the London Eye phoned. They had the monkey, in the background they could probably her the protests for “Redkey??? Redkey???”. Thank goodness we thought, we promptly paid and headed back to collect the lost monkey. Ariella is reunited with her monkey after losing it in the crowds. I think she did understand that he was lost because when Monkey came back riding in Jamie’s jacket her face lit up and he stayed right there for a long time. In fact she felt promptly asleep! Monkey seems to be coming everywhere with us, as you can see this is us just this morning on our walk! Good old Monkey.